PLATES There are 49 products. 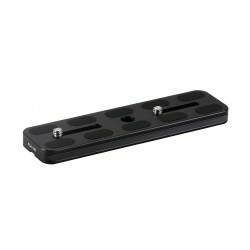 "L" type universal quick release plate for Arca-Swiss standard. Genesis PLL-A6000 is an "L"-style Arca-Swiss compatible quick release plate for Sony ILCE-α6000. Genesis PLL-EM1 is an "L"-style Arca-Swiss compatible quick release plate for Olympus OM-D E-M1 cameras. 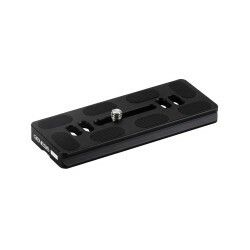 Genesis PLL-RX1 is an "L"-style Arca-Swiss compatible quick release plate for Sony DSC-RX1 and DSC-RX1R cameras. Genesis PLL-XT1 is an "L"-type Arca-Swiss compatible quick release plate for Fujifilm X-T1 cameras. Genesis PLL-A7 is an "L"-style Arca-Swiss compatible quick release plate for Sony ILCE-α7 cameras. 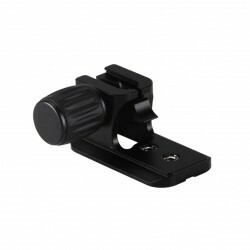 ASL-50 is a lever clamp for quick-release plates, which can be mounted either on the head or directly on a tripod. 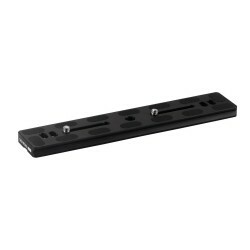 NDS-200 is a universal nodal rail with a length of 200mm, which is created in accordance with the Arca-Swiss mounting standard. Genesis PLL-D810 is an "L"-type quick release plate compatible with Arca-Swiss clamps, designed especially for Nikon D810. 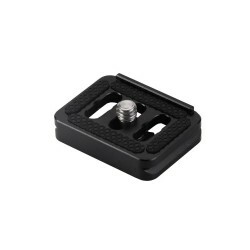 Genesis PLL-5DMKIII is an "L"-type Arca-Swiss compatible quick release plate for Canon 5D MKIII cameras. Genesis PLL-5DS/R is an "L"-type Arca-Swiss compatible quick release plate for Canon 5DS and Canon 5DR cameras. Genesis PLL-70D is an "L"-type quick release plate compatible with Arca-Swiss clamps, designed especially for Canon EOS 70D. Genesis PLL-760D is an "L"-type quick release plate compatible with Arca-Swiss clamps, designed especially for Canon 760D. Genesis PLL-7D is an "L"-type quick release plate compatible with Arca-Swiss clamps, designed especially for Canon EOS 7D. Genesis PLL-7DMKII is an "L"-type quick release plate compatible with Arca-Swiss clamps, designed especially for Canon 7D MKII. Genesis PLL-A7II is an "L"-type quick release plate compatible with Arca-Swiss clamps, designed especially for Sony A7II. Genesis PLL-D7100 is an "L"-type quick release plate compatible with Arca-Swiss clamps, designed especially for Nikon D7100. Genesis PLL-D500 is an "L"-type quick release plate compatible with Arca-Swiss clamps, designed especially for Nikon D500. DC-38 double-sided quick release clamp allows to lock the camera position on a rail or another element compatible with the Arca-Swiss standard. 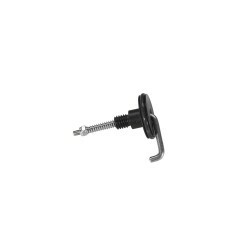 DDC-55 double-sided quick release clamp allows to lock the camera position on a rail or another element compatible with the Arca-Swiss standard. 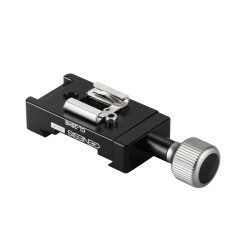 DDC-60 double-sided quick release clamp allows to lock the camera position on a rail or another element compatible with the Arca-Swiss standard. NDS-100 is a universal nodal rail with a length of 100mm, which is created in accordance with the Arca-Swiss mounting standard. NDS-140 is a universal nodal rail with a length of 140mm, which is created in accordance with the Arca-Swiss mounting standard.